You might be wondering how to prepare to volunteer abroad. When preparing to volunteer abroad, one of the most important steps is making sure your visa and passport are taken care of. You don't want to be one week away from leaving and realize that your passport has expired or that you won't be able to get a visa. Unfortunately, lack of preparation and planning ahead by volunteers means these problems can be very common. Don't let this happen to you. This article will explain how to prepare to volunteer abroad, and describe the different types of visas and address passport issues that you may have before you leave to volunteer abroad. One of the biggest steps in preparing to volunteer abroad is buying a visa. First, you will need to check if you even need to buy a visa. Some countries do not require a visa depending on your citizenship. To find out if a visa is needed, visit the official government website of your home country. If you need to buy a visa, the type of visa you need is connected to the type of organization you're with and the duration of your service. Most volunteer organizations are considered volunteer travel organizations, run from 1-12 weeks, and do not pay their volunteers. If you fit into this category, you should obtain a tourist visa. If you will be working for an organization that pays its volunteers or are volunteering for a long-term program (such as long-term teaching programs), you may need a working visa. Your volunteer organization will have experience and knowledge on this subject, so check with them about what type of visa you'll need. In recent years, several countries have started the process of creating volunteer visas, such as Tanzania and India. This is a special permit specifically meant for international volunteers abroad. Check the official website of your host country to find out if this is something they have. As mentioned above, countries like Tanzania and India may be able to provide special volunteer visas. Otherwise, as a volunteer, you will most likely need to obtain a tourist visa. Again, this is for volunteers that are not getting any payment for their work. If you will be working for an organization that pays you (such as teaching English abroad), you'll need to obtain a working visa. It is the responsibility of your volunteer organization to provide you with a working visa, so get in touch with your volunteer organization to ensure they provide you with one. Do I need to get a visa before I leave? Or do I get it when I arrive? When preparing to volunteer abroad, you need to determine whether you need to buy a visa before you leave or once you arrive. This depends on the country you are traveling to and the country you are from. 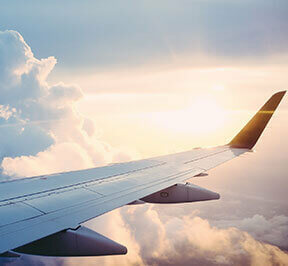 In general, volunteers from developed countries such as the U.S., Canada, Australia, and European countries can simply buy a visa at the airport when they arrive to their host country. But there are still many countries that require you to purchase your visa beforehand. This can usually be done online, and you can print out your visa and present it when you arrive to your host country. In general, you should apply for your visa 1-2 months before your departure. The best thing to do is research ahead of time what is needed. Talk to your volunteer organization, call or visit the website of your local embassy, and find out whether you need to buy a visa before you leave or once you arrive. Sometimes, even when you are not required to purchase a visa before leaving, you can do so to avoid any long lines or forms when you get to your host country. Usually, yes, this is possible. Most likely you will need to pay an additional fee (as if you were purchasing a new visa) in order to extend your visa. The rules differ in each country, so ask your volunteer organization for their advice on what the best course of action is. How much do visas cost? The cost of your visa will vary depending on the country you are traveling to. The cost can be anywhere from $10 to $300. The cost of your visa may also be affected by the duration of your stay and what kind of work you are doing in the country. Be prepared for how much money you will be spending on your visa. Do research beforehand and ask others that have volunteered abroad in that country how much they paid. If you are a volunteer that is obtaining a tourist visa, you will most likely need a valid passport, a completed visa application form, round-trip air tickets, proof of booked accommodations, and sometimes an itinerary. If you are trying to obtain a working visa, you will need proof from your employer abroad that you are a valid employee. Your volunteer organization/employer should assist you in getting this proof. How should I prepare my passport? Preparing to volunteer abroad means solving any passport issues early on. You will not be allowed abroad without a valid passport. If you do not currently have a passport, you need to apply for one at least 6 months prior to leaving, as this process takes a long time. If you absolutely must have your passport sooner, you will have to pay extra money to expedite the process. If you already have a passport, make sure that it is not expired, and that it won't expire for at least six months after your travels. You should also make sure there is at least one blank page available for new stamps.